Few terminologies, to get started with Docker. The public repo of Docker images i.e. from where ‘docker pull‘ gets the image, and ‘docker push‘ publishes. It hosts public Docker images and provides services to help you build and manage your Docker environment. Is the conf file for building Docker images. A minimal DockerFile requires the mention of the base image to use i.e. any of the existing image, available locally or on the Docker hub. 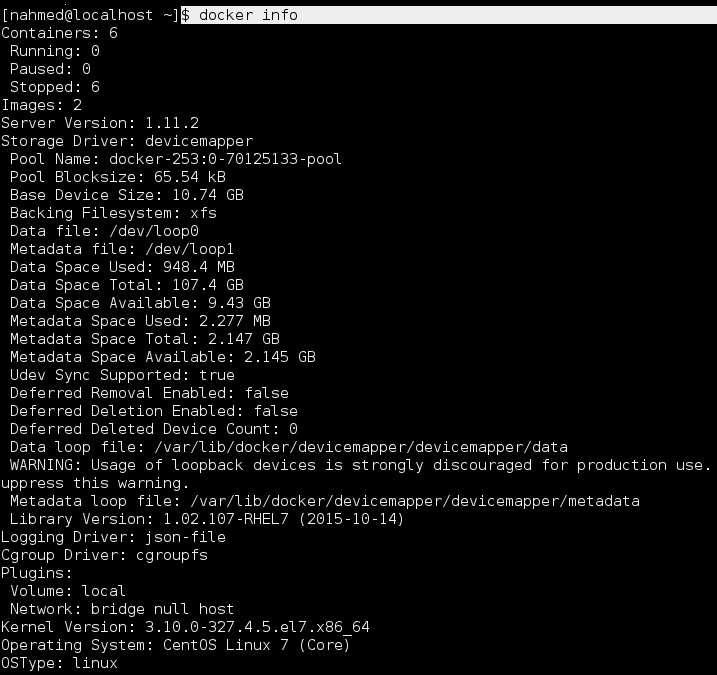 in simplest words, a Docker image is basically the OS file required to run the Docker container. Each Docker image is stored as a series of read-only layers, maintaining the filesystem differences. These layers are stacked on top of each other to form a base for a container’s root filesystem. For example – the Ubuntu 15.04 image with it’s 4 layers. The Docker storage driver is component responsible for managing the image layers and providing a single unified view of them i.e. a single image. An example is AuFS, or devicemapper, etc. Docker images stored in layered form is possible because of storage drivers, which is the crux of Docker being very fast and highly storage efficient. In case of fully virtualized VM, a 1GB container image you would require 1GB x number of VMs storage space. But with Docker and AuFS working together, a single image will shared among all the containers i.e. 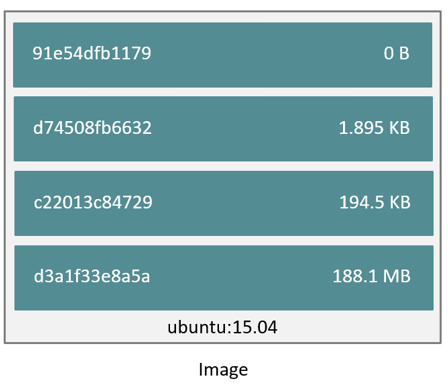 for 1000 containers using a single base image, you might only require a little over 1GB of space for the containers OS. Docker containers are resource efficient because, All the containers share a single copy of common parts of the OS, which get copied into a container’s write layer (mounted on container initialization) once write or change is made. is simply a live Docker image instance i.e. docker run <image_to_run>. When you run a docker image i.e. instantiate a new container, a new thin, write-able layer gets added on top of the read-only layers, called as the “container layer”. All the changes made to the running container i.e. modifying files, creating new files, or deleting files, etc are written to this container layer. When the container is deleted, the write-able layer also gets deleted, hence you’ll end up with the starting image. i.e. relaunching the image will give you a fresh container, without any of the changes you made in the previous container. To keep the changes made to container, you need to commit them (docker volumes, explained next), doing so will give you a new container. This is how the layers made Docker very fast i.e. each container (running instances) has it’s own container layer (write-able layer), this way multiple container on single Docker host can share the same underlying image (layers), and yet have their own private state. For example, downloading a single Ubuntu OS image (docker pull), you can run multiple containers, all using the same image, just with their own container layer. Data volumes are the Docker host’s directories directly mounted on the containers. Data volumes are independent of the storage drivers. Contrary to the write-able layer the data in the data volumes persist on the Docker host, even when the container is deleted. Any number of data volumes can be mounted in a container, and multiple containers can also share one or more data volumes. A brief overview of docker commands. All the info about the docker engine i.e. storage driver, version. Gives the listing of locally available docker images i.e. pull-ed from docker hub, or newly build. For searching images on docker hub i.e. public docker images library. To create a docker image from a DockerFile. To publish a docker image. For retreiving/downloading a docker image. For starting/initializing a docker image i.e. running a container. Lists all the docker processes i.e. the running containers.